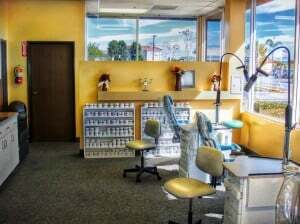 At Pacifica Dental, we offer all the general dentistry services Huntington Beach patients need. We provide expert cleaning and x-rays, sealants and fluoride, Invisalign braces, crowns and bridges, porcelain veneers and Lumineers, and skilled dental implants. Our experienced dental team can also perform root canal therapy and periodontal treatments. Pacifica Dental can care for all your dental needs. We work to successfully establish long term, lasting relationships with our patients. And, we’re all about your dental health. We believe that through good dental hygiene with regular cleanings and preventative exams, your smile can last a lifetime. We take thorough patient histories, provide patient education, and offer assistance with preventative measures like sealants and fluoride. Clean teeth is an important part of your dental health. Our Huntington Beach general dentistry practice is dedicated to keeping your teeth strong and healthy. We provide complete cleaning that can thoroughly end the hardened plaque that can grow on tooth surface and cause gum disease and cavities. Brushing alone can’t eliminate this calculus that often forms beneath the gum line. And that calculus can cause gun inflammation and periodontal disease due to bacteria. But our practice works to prevent bacteria build up, by helping you keep your teeth healthy and clean through regular cleanings and teeth polishing. With a professional hygiene regimen and a thorough professional exam, we’ll keep you smiling.